On a small traffic island on the west side of Woodgrange Road and the east end of Forest Lane (just north of Forest Gate station). The gift of Mr. Corbett. Opposite Forest Gate Station West Ham, £250.0.0. 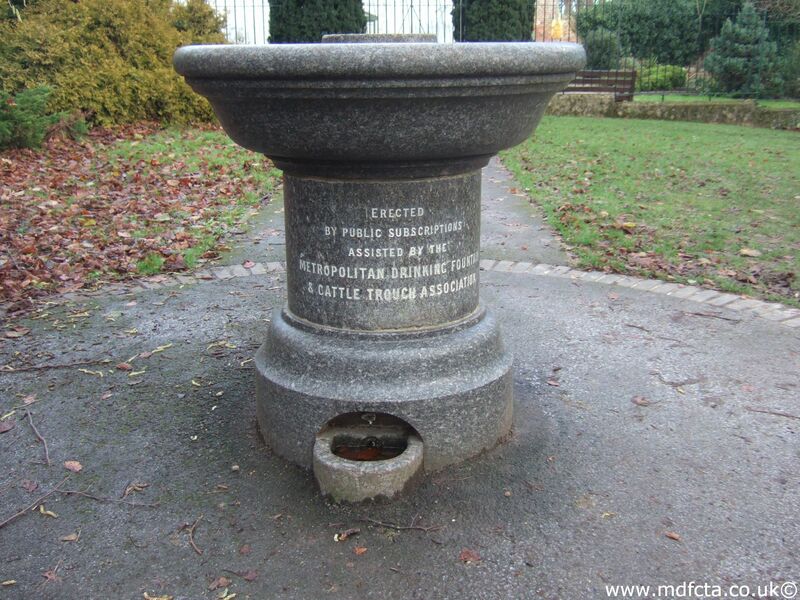 The design of this special trough/fountain is identical to another in Padiham and very similar to structures in Halifax and Dewsbury.